The last full week of August features a full calendar of events in Montgomery County, including the 26th annual Ukrainian Folk Festival, side-splitting comedy from Jim Breuer, timeless music from Stephen Stills and a walk through Valley Forge with George Washington. Discover all 16 of our favorite events and be sure to #MakeItMontco this week. Experience a day of entertainment and culture at the 26th annual Ukrainian Folk Festival. Enjoy amazing performances, including traditional dances and music of Eastern Europe. Sample pierogies, holputsi and homemade baked goods, and take home a piece of folk art from the crafts market. Kids will love the games and fun area. Admission is $15 for adults and $10 for students. Children 14 and under are free. General George Washington will be greeting visitors to the historic home where he made his headquarters during the Valley Forge Encampment. 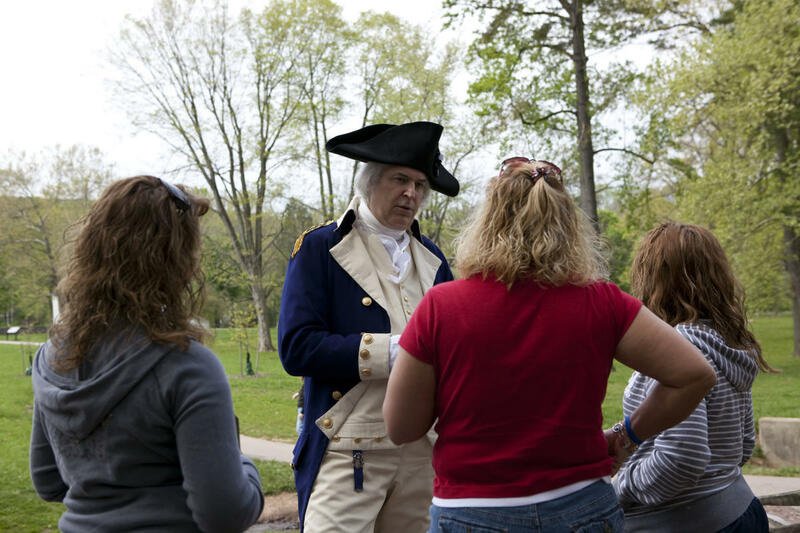 Walking with Washington is a one-of-a-kind opportunity to visit the park after hours while learning from General Washington himself. Admission is free. Tours begin at 5:30 p.m. Park at the Washington Memorial Chapel. Free shuttles will be provided to Washington&apos;s Headquarters. 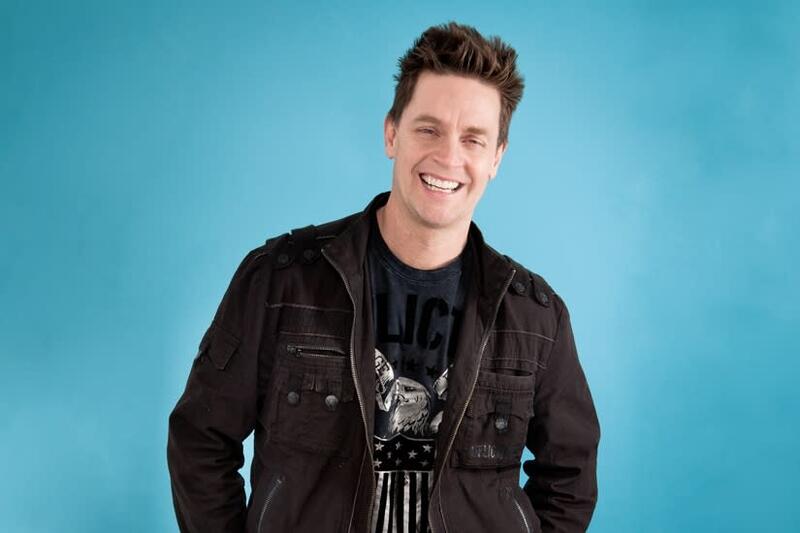 Comedic sensation Jim Breuer returns to the stage at the Valley Forge Casino Resort this Friday night for two sets at 7 and 10 pm. This is the only stop in the Philly area for Breuer’s “The Family Warrior” tour so you won’t want to miss this. Legendary rock and folk artist Stephen Stills arrives at the Keswick Theatre this Friday night with special guest Judy Collins. Stills is touring in promotion of his album “Just Roll the Tape: April 26, 1968,” a collection of previously unreleased demo tapes recorded between Stills’ stints in Buffalo Springfield and Crosby, Stills and Nash. On Saturday night, the Keswick Theatre presents An Evening with the Nearl Morse Band. The prog-rockers will be performing the critically acclaimed double-album "The Similtude of a Dream" in its entirety during this stop of the "The Road Called Home Tour 2017." The king of Austin&apos;s music scene, Bob Schneider will bring his blend of pop, hip hop and folk to the Sellersville Theatre this Friday. The award-winning singer-songwriter will pull from an extensive catalog of more than 30 studio albums from both his solo career and his time with bands like the Ugly Americans and The Scabs. It&apos;s all about the blues on Saturday night when two of the area&apos;s top acts play at the Underground in Lansdale. First, it&apos;s blues trio Blue Jay Slim & The Toneblasters. They&apos;re followed by Andrew O&apos;Brien & Montgomery Blues, a local blues rock band blending traditional blues with styles like Chicago swing, Texas shuffle and Delta sound. The evening ends with a "Combined Band Monster Jam" with members from both groups taking the stage for a memorable send-off. Elmwood Park Zoo goes country this Saturday with its annual Country Fest with 92.5 XTU. The party starts at 12 noon, and Philly&apos;s country station will be broadcasting live from the Zoo Brew, the zoo&apos;s in-house bar, from 1 to 4 p.m. Live entertainment is provided by Amanda Nolan, Lenny Martelli, Danielle and Jennifer, and Mark Luckenbill. 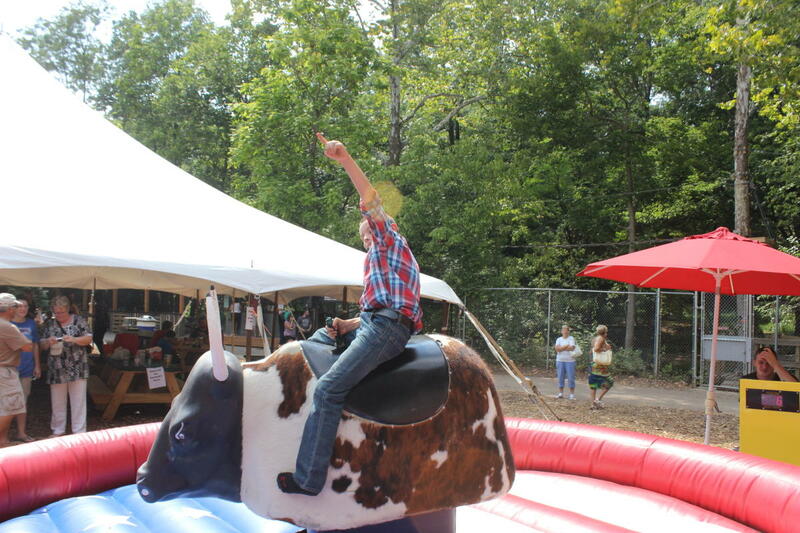 And don&apos;t leave without taking your turn on the mechanical bull. The annual Lansdale Festival of the Arts brings some of the area&apos;s top artisans and crafters to the borough for a juried art show. The event coincides with Lansdale Founders Day, a celebration that takes over the town. Events include a vintage car parade, food festival and beer garden, live music, model train displays, an open house at the Jenkins Homestead, and fireworks show to close out the night. Painting with a Twist - Skippack presents a brand new painting, Disney&apos;s The Lion King. Painters will recreate the famous scene of Mufasa and Simba looking out over the African plains. Two sessions are offered, a 10 a.m. class for all ages and a 7 p.m. adults BYOB class (teens 14-20 are permitted if accompanied by an adult painter). The Colebrookdale Railroad takes you on a round trip to family fun this August on the Campfire Express. Board the historic train in Boyertown and ride the rails to an old-fashioned campfire, complete with camp songs and toasted marshmallows. In addition, a special mimosa brunch train will run Sunday morning at 11:30. You don&apos;t have your tickets to "Legally Blonde Jr." Yet? I object! Elle and her friends are the hottest tickets in town. Visit www.steelriver.org plan your trip to SRP 8/25-8/27 today. One Weekend Only: Montgomery County&apos;s most talented teens will take the stage this weekend when Steel River Playhouse presents Legally Blonde Jr. Based on the hit movie and 2007 Broadway show, the story centers around Delta Nu sorority president Elle Woods and her quest to prove herself to the world by entering Harvard Law School. Performances are Friday at 7 p.m., Saturday at 2 p.m. and 7 p.m., and Sunday at 2 p.m.
Mystery and intrigue are at the heart of Snake in the Grass, the latest production from Playcrafters of Skippack. The show centers on Annabel, a troubled woman who returns home to help her sister deal with a blackmailing nurse while wrestling with the question of how did their father actually die. Performances are Thursday and Friday at 8 p.m., Saturday at 3 p.m. Closing Weekend: Hero School puts the power to save the world in the hands of kids. This interactive experience has kids of all ages sharpening their superhero skills before saving the school from the evil Polonium Malograve. (Best enjoyed by children ages 4 to 8 and their grown-ups). Theatre Horizon hosts the final 12 performances of Hero School between Friday, Saturday and Sunday. History comes to life every Sunday in August at Pottsgrove Manor. Living History Sunday programs will showcase a variety of trades, crafts and pastimes each week. This week features candledipping and 18th century cooking. 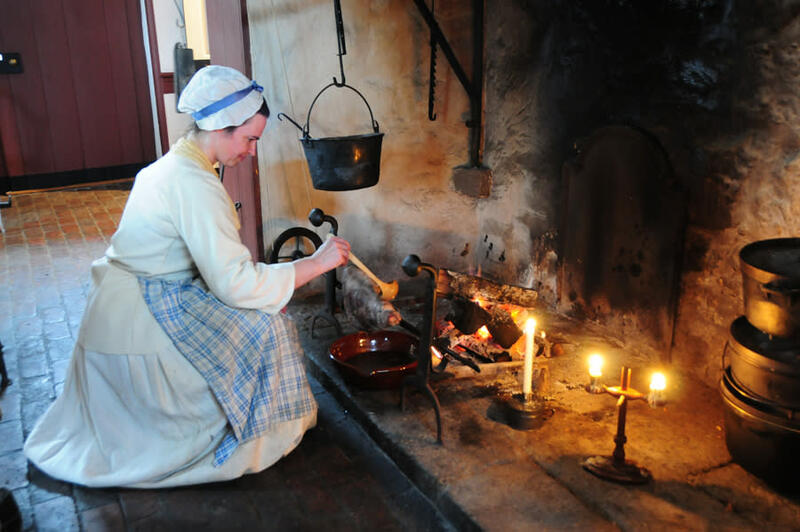 Savor the experience of 18th Century cooking at Graeme Park during this Sunday’s Create a Taste of History event. This week, cooks can take home a jar of preserves as they learn to make james, jellies, pickled vegetables, and homemade bread and butter. Step inside the world of Lutheran minister Henry Muhlenberg in this special exhibit at his former home in Trappe. "Revolution at Home" focuses on the year 1787, four years after the American Revolution ended, and the year Muhlenberg sold the home to his son Peter.